Blue Sky Create photography training course – Thursday 11th August 2011! We’re really chuffed to announce that the next Blue Sky Create photography training course is planned for Thursday 11th August 2011. We’re back at the stunning Hopetoun House and have planned another tip top day of training, tutoring and practical sessions to help you get the most out of your lovely digital SLR camera. Blue Sky Create covers composition, how to get great results and will give you enough technical know-how to take you off auto and help you take lots of lovely photographs with us on hand to help answer any photography questions you may have! Enjoy this film created by the awesome Cherry Tree Films which gives you a feel for our photography training course! We’d love you to join us on Thursday 11th August 2011 and be a part of this day. We’re excited that quite a few spaces have been snapped up already. It’s going to be a great day – get your space now! Blue Sky Create costs £185 which includes all refreshments and a gorgeous, energy-boosting lunch by Beetroot Blue. It’s the perfect gift for Father’s Day, birthday or just as something lovely to do for yourself! 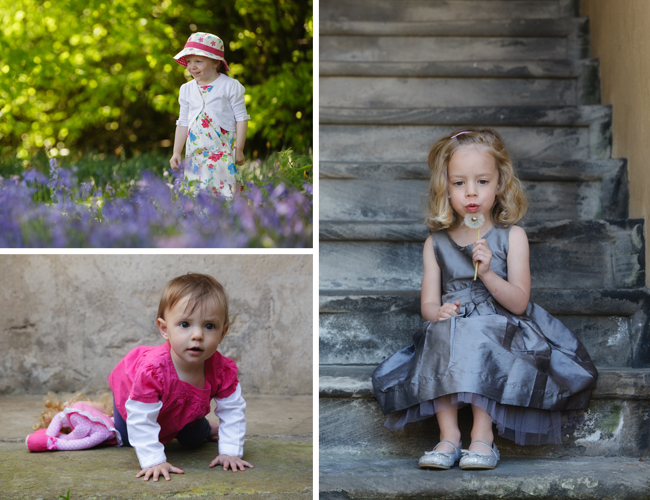 Here’s some of our shots of the super-cute models from the last course.